Do bats carry rabies and transmit them to humans? Yes, but it is rare. Even though all warm-blooded mammals can carry rabies, for some reason there are different strains, and humans aren’t susceptible to many of them. For example, many raccoons are rabid, but they don’t pass the rabies on to humans. But for some reason, some of the strains in bats are transferrable to people, and thus most cases of rabies in the United States are due to bats. But the numbers are very low. 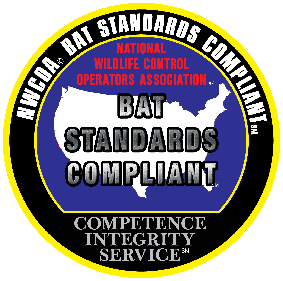 Do you have a bat flying around inside your home? Visit our page How To Catch A Bat In Your House.